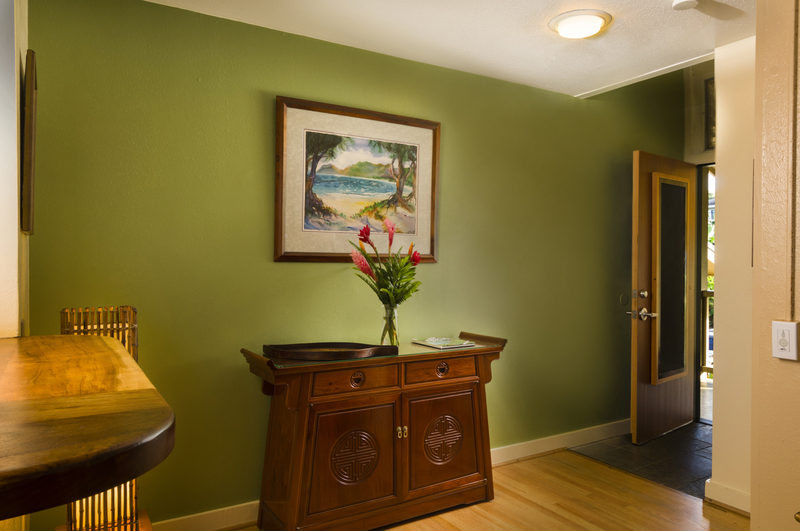 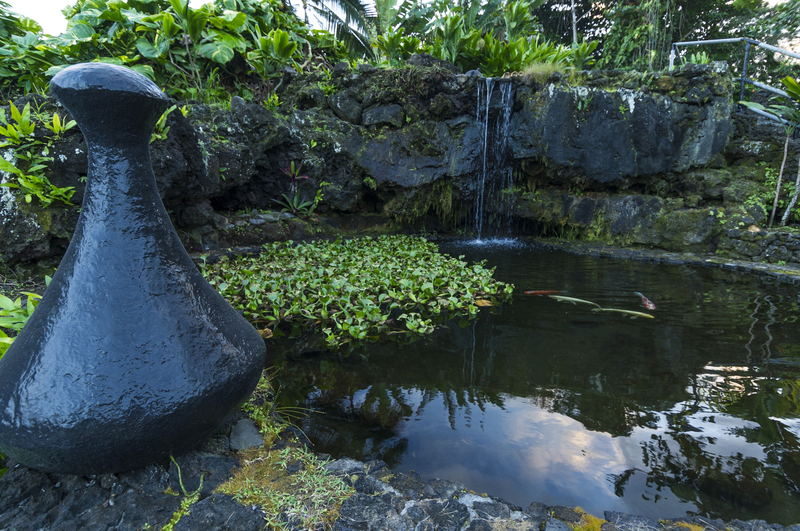 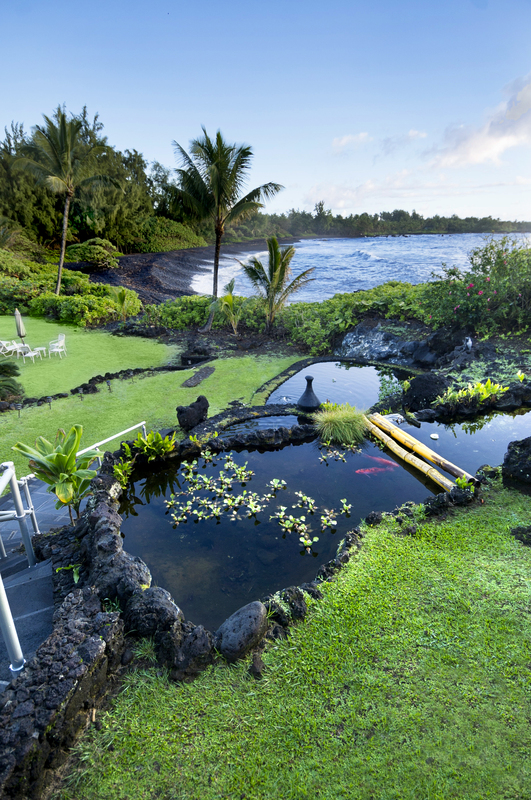 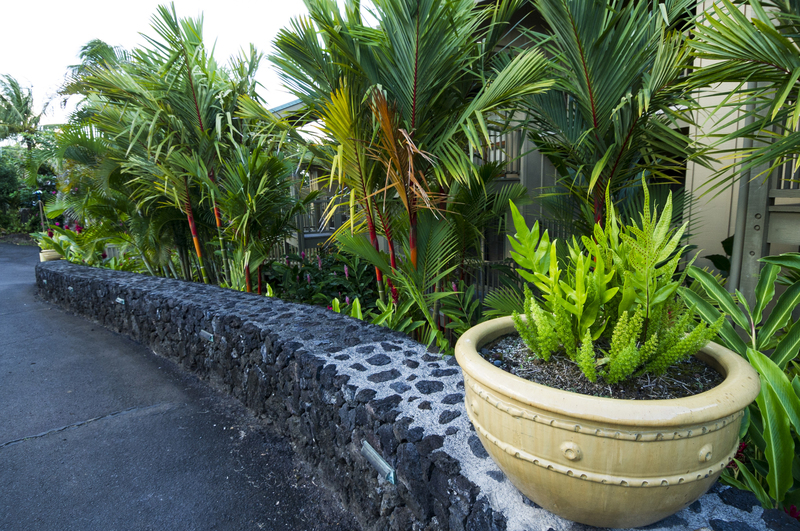 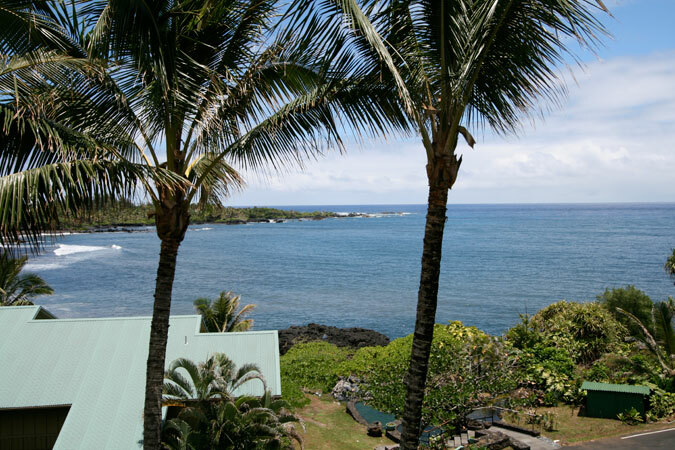 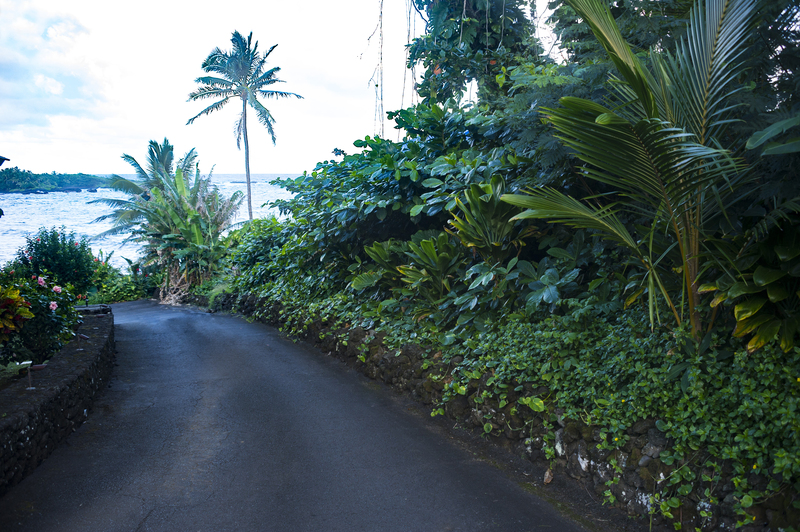 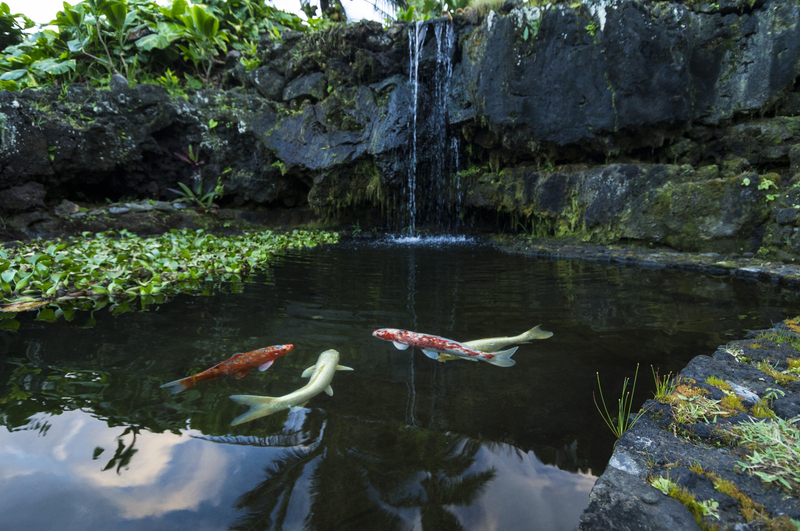 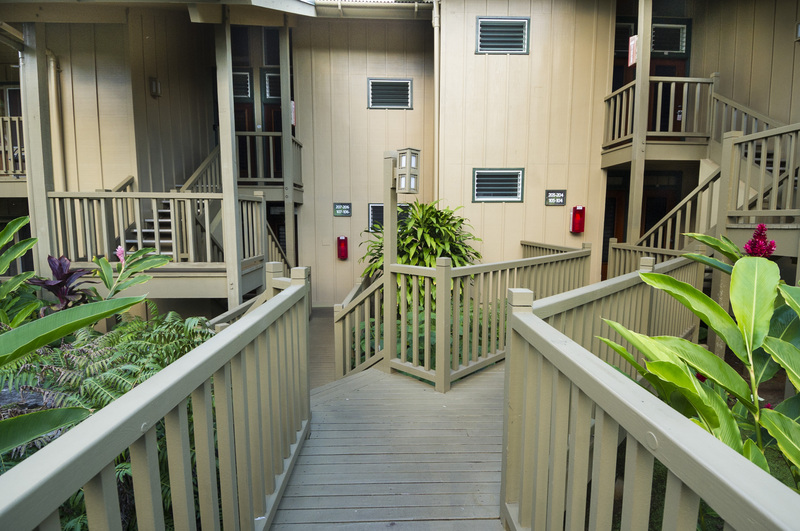 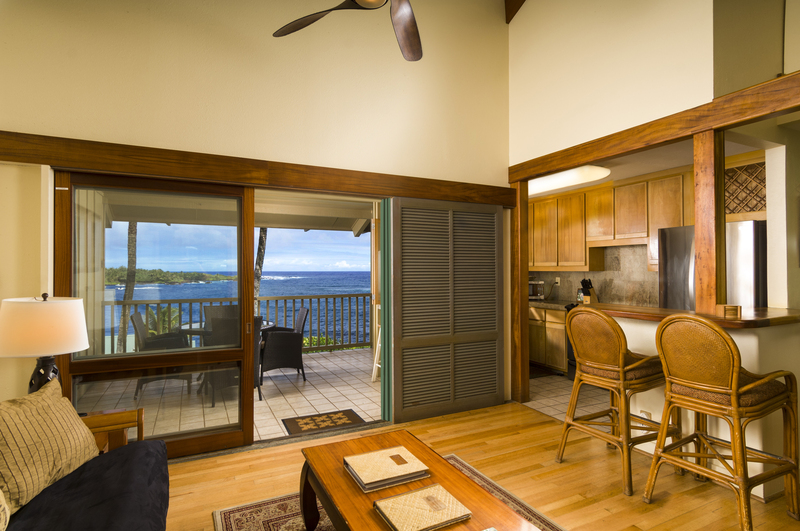 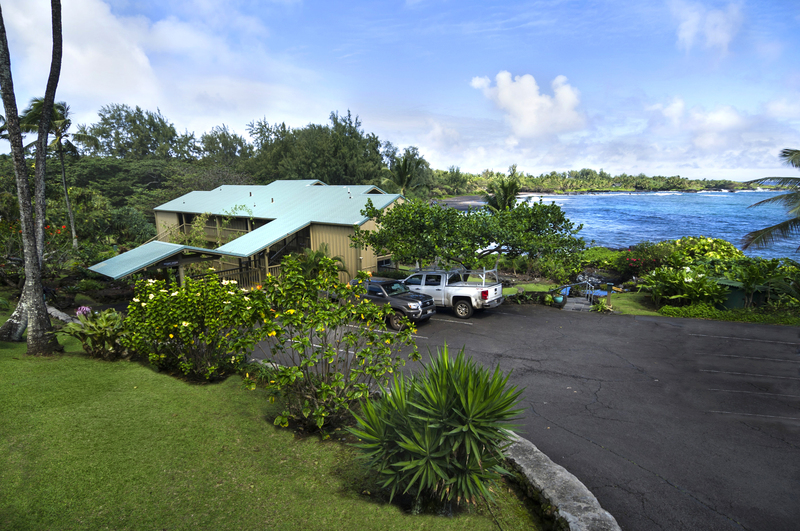 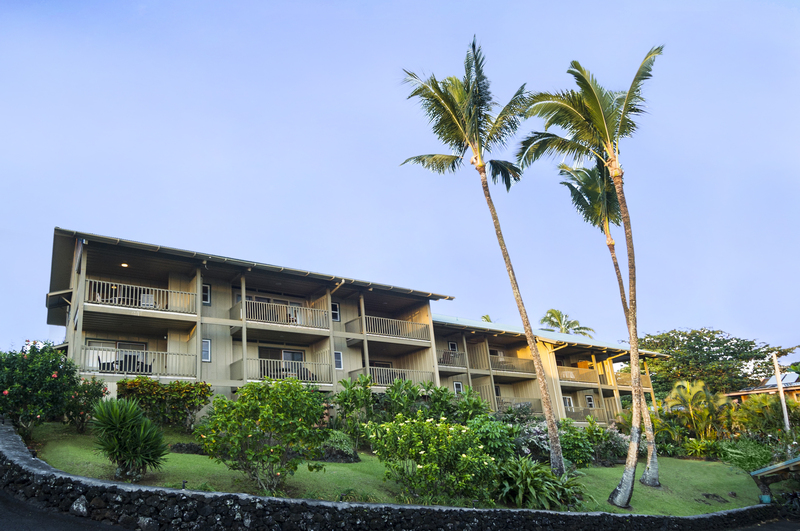 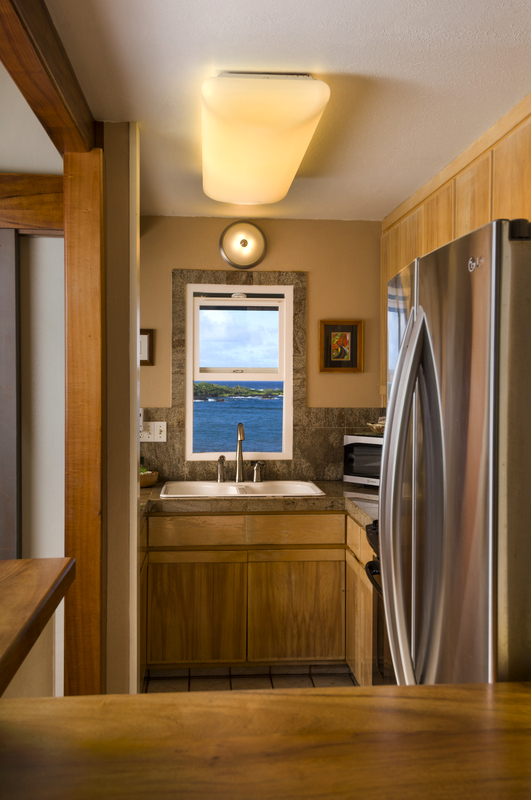 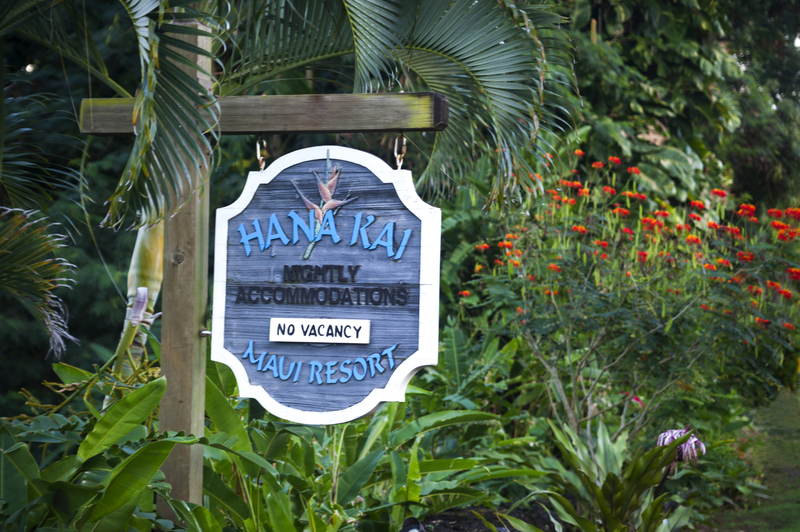 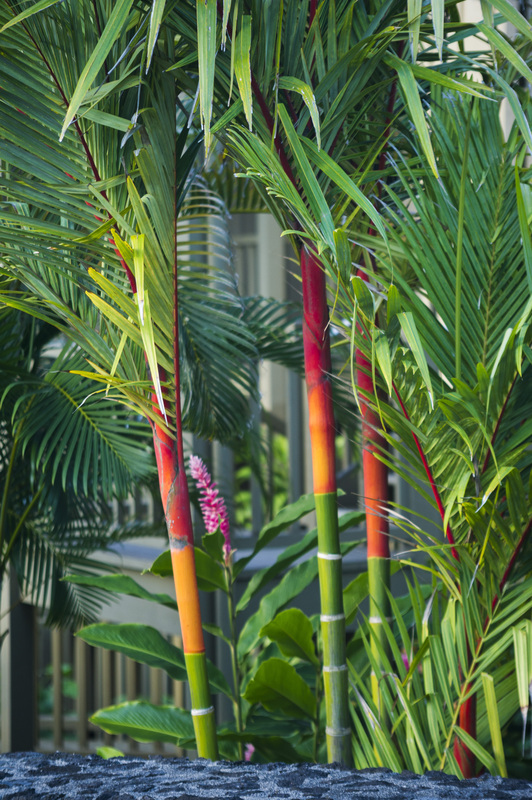 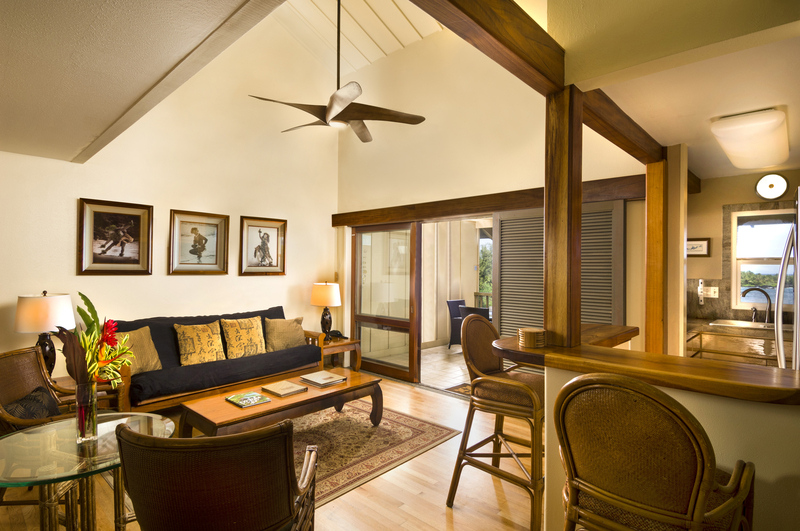 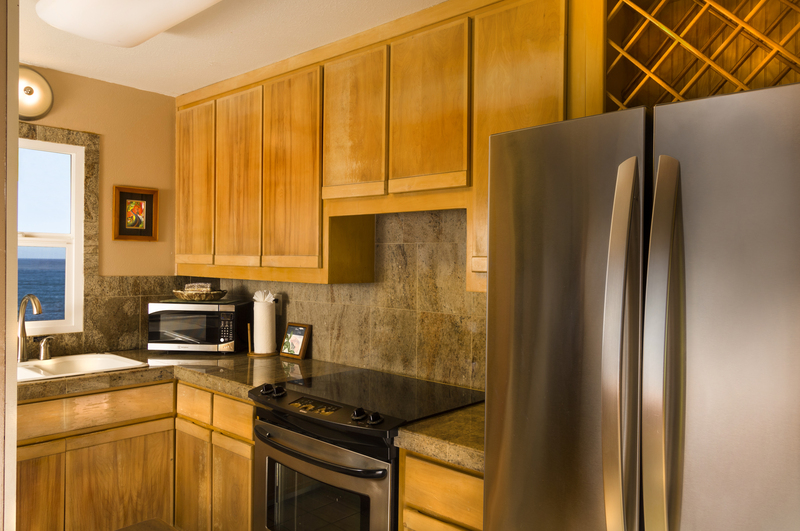 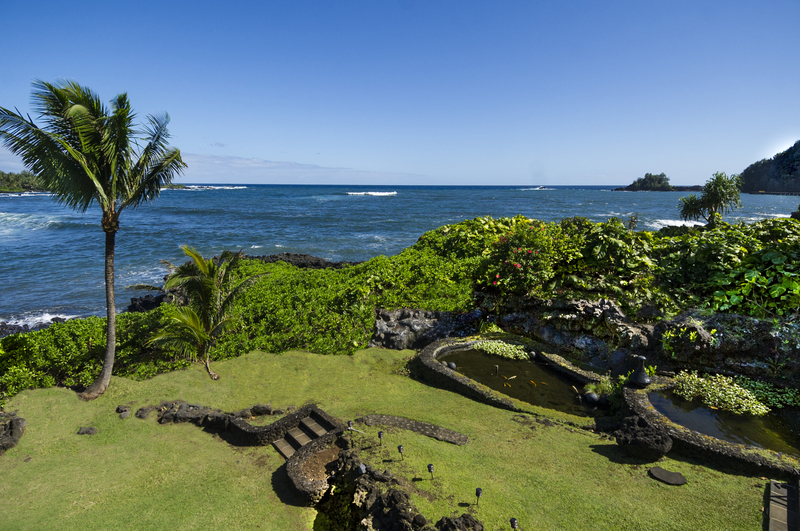 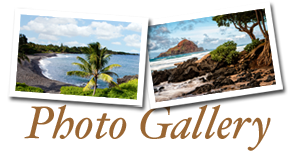 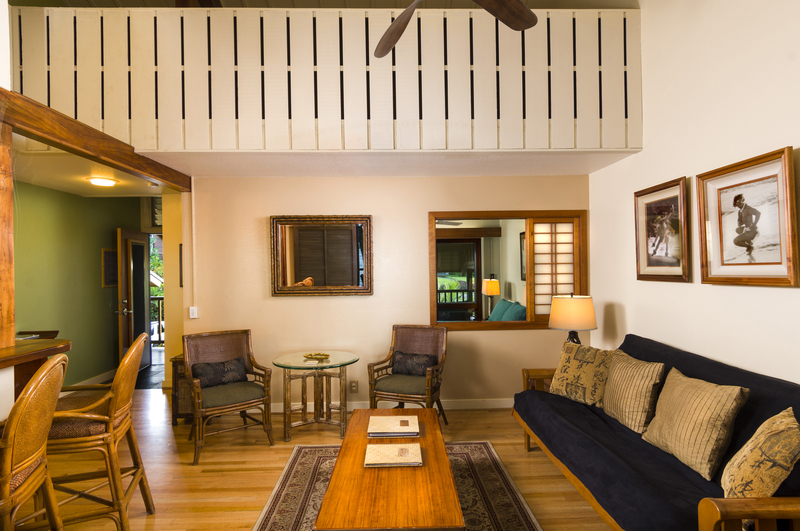 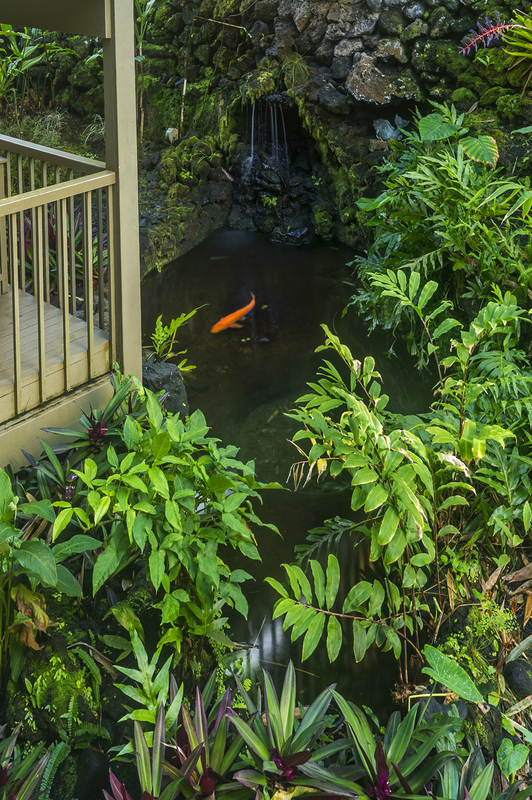 “Lanakila” – Unit 203 – is an upper floor 1-bedroom, 1-bath ocean view condo located in Hana Kai Maui’s Mauka (upper) building. 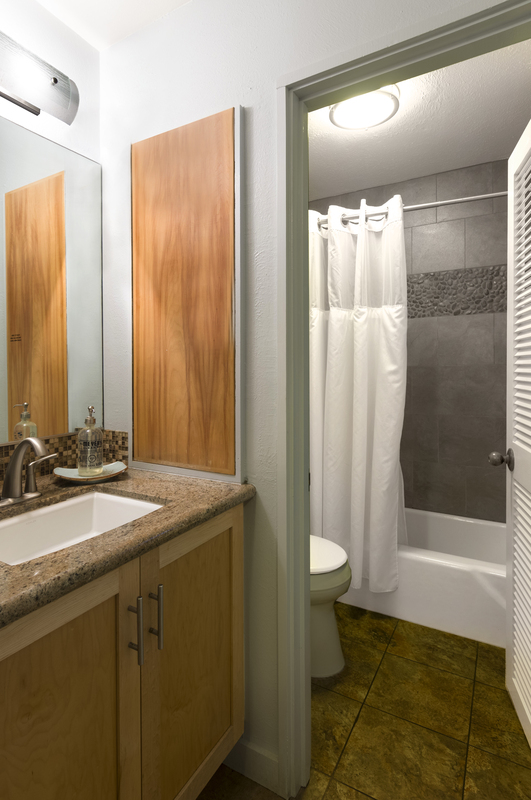 This unit has an open kitchen featuring a koa bar and koa accents, hardwood floors, stainless appliances, granite countertops in kitchen and bath, granite tiled tub/shower combination, tropical furnishings and decor. 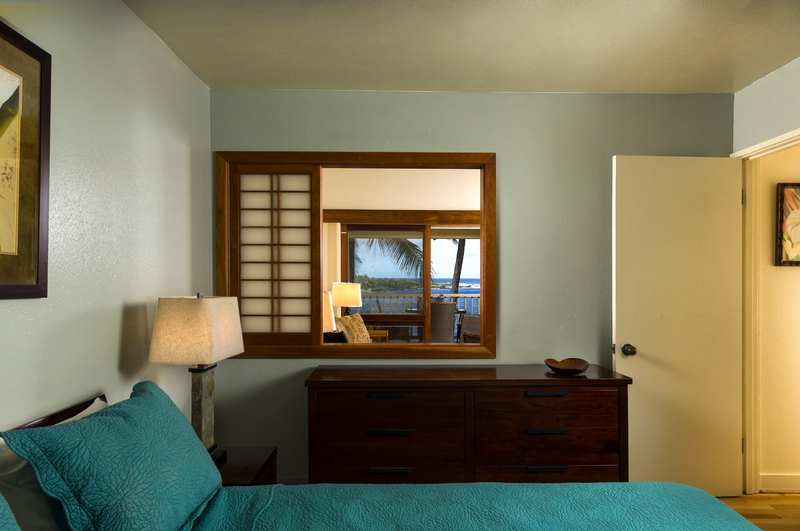 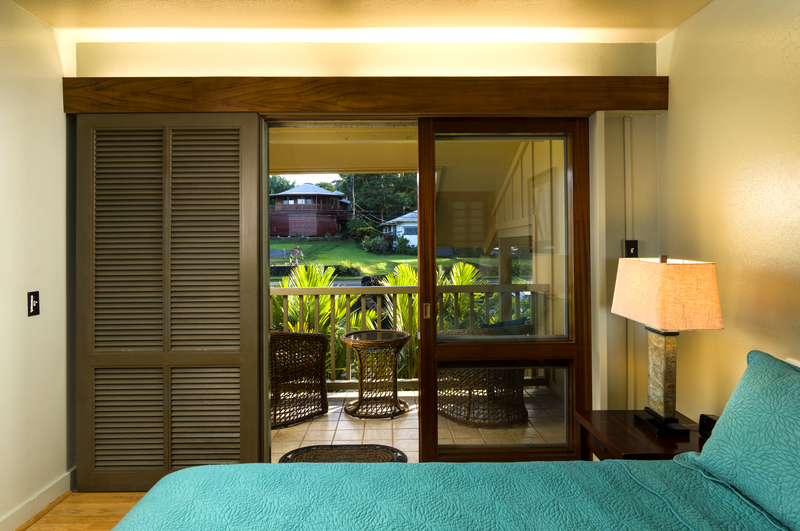 A shoji window from the living room to the bedroom allows the trade winds to cool the unit throughout and the sight and sound of the ocean can be seen and heard from your bed! 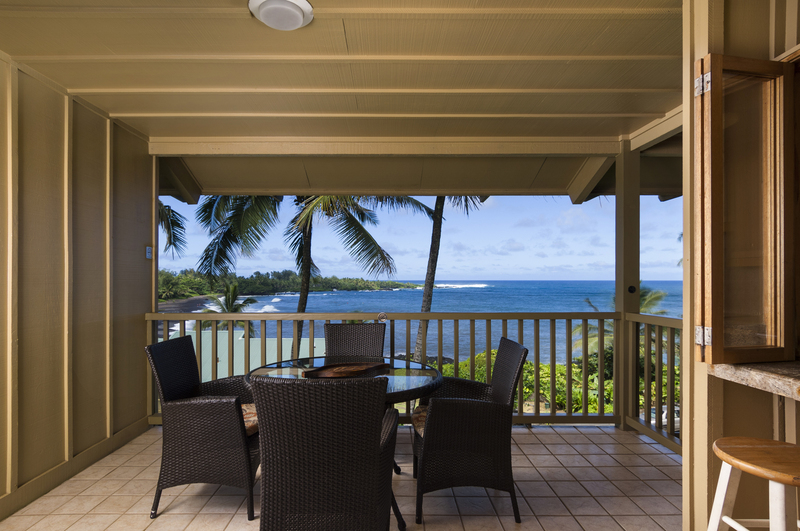 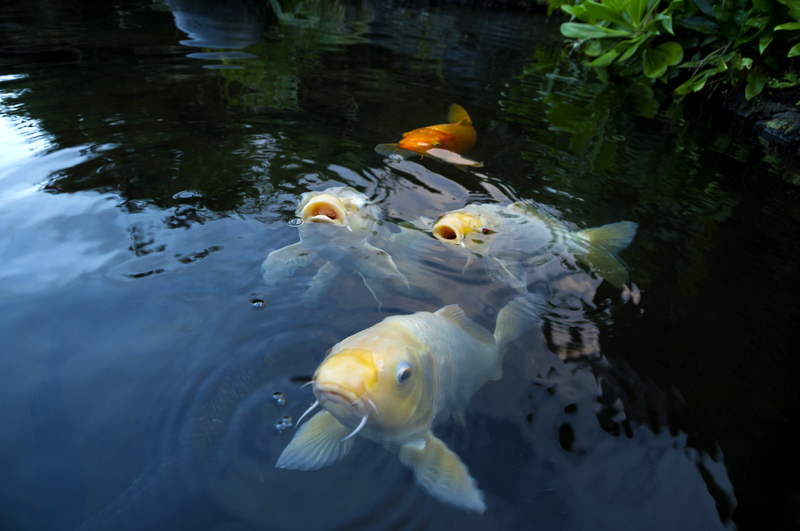 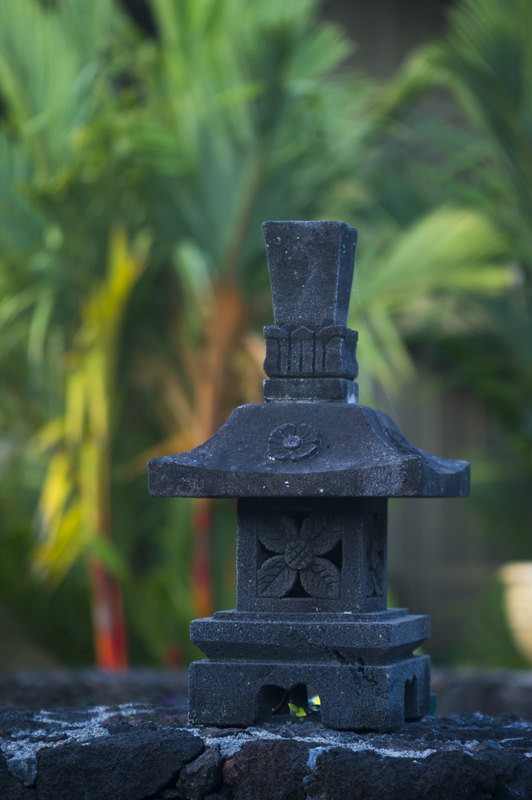 There is a spacious covered lanai with a wonderful view of the Bay and a 2nd covered lanai off the bedroom.